THIS IS WHAT IS INTERESTING ABOUT HIS CLAIMS TO BE DOING "GOD'S WORK". HE IS AGNOSTIC. THEY DON'T BELIEVE IN GOD. THEREFORE, WE THINK THE GOD HE IS DOING HIS WORK FOR IS NONE OTHER THAN LUCIFER! In a November 2005 PBS interview by David Frost, when asked if he believed in God, Gates replied: "In terms of doing things I take a fairly scientific approach to why things happen and how they happen. I don't know if there's a god or not, but I think religious principles are quite valid." SO, DON'T YOU THINK HIS CLAIMS ARE CONTRADICTORY? ALL THESE PEOPLE WHO CLAIM TO BE DOING "GOD'S WORK' NEVER TELL YOU WHO THEIR GOD TRULY IS, WHY IS THAT? (Goldman Sachs head, Lloyd Blankfein, said the same, but that bank has looted the nation). Sorry, but people who believe who truly believe in GOD, don't lie, cheat, steal and loot the treasuries of nations, etc etc. I have heard Bill Gates Dad was an NSA operative and that Jr's career was handed to him in exchange for his allegiance to the NWO. Anyone have proof ? for tweaking a recent report. ("How To Abandon Microsoft,"
the Wikipedia web site gives a fuller background. was son of the original William Henry Gates. Bill Gates is "The Third." school. From there, he went on to Harvard, only to drop out. "visionary," was on the board of directors of Berkshire Hathaway. instance. Does he make any donations to political parties? compared free and open source software, such as Linux, to Communism. IBM needed an operating system -- fast. (See "How To Abandon Microsoft,"
did not even invent DOS. had to get the Microsoft Windows operating system with it. Like John D.
Like other monopolists before him, Bill Gates became a philanthropist. experts" (and pay a hefty fee). effective stranglehold, but American ingenuity changed that. anti-trust laws are not vigorously enforced against Microsoft, Inc.? ("This Is Your Brain On Windows" image from "DDB: DOS Operating System"
They believe in no creator just random mutation etc. so they can do all the lies, death and destruction without fear of bad karma etc. Evolution theory is destructive stupidity. 5000 year old granite machine work right out in the open. The US does not have this capability to move or machine the large granite blocks today and that means the ancients probably also had more advanced health care. 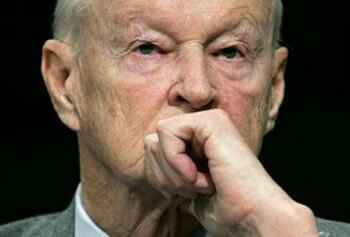 Hey Mr. Gates, God is not in the business of killing or maiming children. When Warren Buffett gave $31 billion to Bill Gates' Foundation, I assumed it would advance the New World Order. But when a reader showed me Gates' connection with the pagan anti-Semitic Lucis (formerly Lucifer) Trust, I sat up and took notice. Established by Alice Bailey in 1922, the Lucifer Publishing Company changed its name the following year for obvious reasons. Based at 120 Wall Street, the "Lucis Trust" is a vital part of the satanic cult that controls the Western world. It started the New Age Movement to induct society into their Luciferian mindset. Apparently, Lucis is the official publisher of the United Nations and manages its "Meditation Room." "Initiation is a concept in Theosophy that there are nine levels of spiritual development that beings who live on Earth can progress upward through." "The Order of Nine Angles (ONA, O9A) "represent a dangerous and extreme form of Satanism" and first attracted public attention during the 1980s and 1990s after being mentioned in books detailing fascist Satanism. Presently, the ONA is organized around clandestine cells (which it calls "traditional nexions") and around what it calls "sinister tribes"." The Order postulates Satanism as an arduous individual achievement of self-mastery and Nietzschean self-overcoming, with an emphasis on individual growth through practical acts of risk, prowess and endurance. Rites of passage, often connected to promotion in grade level, include spending three months living rough in a forest bereft of human contact, and the assumption of difficult occupations to develop personality and leadership ability. Therefore, "[t]he goal of the Satanism of the ONA is to create a new individual through direct experience, practice and self-development [with] the grades of the ONA system being highly individual, based on the initiates' own practical and real-life acts, instead of merely performing certain ceremonial rituals". Thus, true Satanism, the ONA assert, requires venturing into the realm of the forbidden and illegal, in order to make contact with the "sphere of acausal, sinister forces of the cosmos". The Temple of Set proscribed the ONA in the early 1980s for its avowal of human sacrifice. Best examples of real â€œtribesâ€� with very sophisticated in group Sacred Words are the tribe of Scientists with their technical lexicon and the tribe of lawyers with their Legal Latin mumbo-jumbo. "The last Primal Coding â€œLeaderâ€� is not what it sounds like in the cult sector. A Lead in business terms may be a CEO like Bill Gates or Steve Jobs were/are. Or they can be â€œMascotsâ€� or Central Figures your tribal people can look at or know. The old Ronald McDonald is a tribal leader. Mickey Mouse was tribal leader. But the most important qualities such a leader of Figure Person must have are Charisma, Popularity [within the target market], and Rapport with the tribe. Old fart Nazi hardliners lack these three qualities, but Hitler had them. Walt Disney playing with little children may look questionable and he lack the Heart Grabbing power Mickey Mouse had on his target market: Children. Some High Priests or â€œIpsissimusesâ€� have a hard time understanding this most basic Primal Code. So back in the old days me and DarkLogos deconstructed the ONA to see how many things matched up with these Primal Codings." Lucis Trust is recognized as an official "NGO" by the U.N. and manages the U.N. "meditation room". Get thee behind me and the innocent children! through the causal fabric of this world. positive transition from what had hitherto existed. Without these preparations absolute destruction would ensue. a new species after the dawning of the Aeon of the Dark Gods. ours â€“ Fayen â€“ describes this synthesis, and the future birthing is the cataclysm of the New Aeonâ€™s dawn. In many respects, this new era of ours represents an Aeonic progression towards the Abyss. 2) To continue to encourage, or rather to allow of themselves, constant new expressions (nexions) of the Order. One of the aims of initiation into and involvement with the ONA is for such an initiation to extend the tradition. manipulated to serve the ends of one individual. "The Dreccian Moons of Baphomet"
tribes, and of more traditional nexions, spread across the planet we call Earth. temptation, and also forbidden pleasures and forbidden joy. coming restoration of the sinister feminine." Its no wonder David Icke and others believe in some reptilian connection with the effete-elite. Their inner circles are replete with it. Drecc - draconis - dragon. To become Drecc you simply make a pledge of Drecc allegiance and pledge yourself to follow the Dreccian way of life. This can be done in three ways. First, it can be done by yourself, alone. Second, it can be done with a friend or some friends who also desire to become Drecc. Third, you can join an existing Dreccian tribe. The Pledge can take place at any time, and anywhere, indoors, or out, and no special preparation is necessary or required, although if desired and practical, it can be undertaken in a darkened area with subdued lighting (the source of which is not important) and with the Drecc symbol â€“ as above â€“ in a prominent position and drawn or reproduced on some material or on a banner. For the pledging, you â€“ and each other participant, if any â€“ will require a small piece of white paper (the actual size and type of paper are not important), a sharp knife (of the hunting or survival kind) â€“ and if possible, a sheath for the knife â€“ plus a small receptacle or container suitable for burning the paper in. And that culling is a necessary act of Life..
You â€“ and each other participant, if any â€“ then make a small cut on your left thumb with the knife and allow several drops of your blood to fall onto the paper. You then place the paper into the small container, and set it alight. I swear on my Dreccian-honour as a Drecc that from this day forth I will never surrender, will die fighting rather than submit to anyone, and will always uphold The Dreccian Code. You â€“ and each other participant, if any â€“ then place the knife in the sheath (if a sheath is available), conceal or otherwise carry the knife on you, and forever after keep the knife with you, as a sign of your Dreccian-honour and your pledge of allegiance. I gotta quite reading that stuff for a second. The Dreccian Moons of Baphomet seems to be a twisted interpretation of the Holy Ghost, or Shekhinah Shekinah, Shechinah, Shechina, or Schechinah, (Hebrew: שכינה‎) is the English spelling of a grammatically feminine Hebrew ancient blessing of God. The original word means the dwelling or settling, and denotes the dwelling or settling of the divine presence of God, especially in the Temple in Jerusalem. Shekinah â€“ a Chaldee word meaning resting-place, not found in Scripture, but used by the later Jews to designate the visible symbol of God's presence in the Tabernacle, and afterwards in Solomon's temple. When the Lord led Israel out of Egypt, he went before them "in a pillar of a cloud." This was the symbol of his presence with his people. God also spoke to Moses through the 'Shekinah' out of a burning bush. This might be the twisted root of the effete-elites' worship of Venutian versions of Satan. The architecture based thereon, the many forms of dome temples in religion and statecraft, are literally, as Alex Jones and many others have long pointed out, temples of the feminine Satan. And we'd be the communists according to double speaking, fork-tounged Bill-nine-Gates-of-hell. It says Agnostic! Then look at the footnote  at bottom! Return of the Dark Ages. It can happen here. 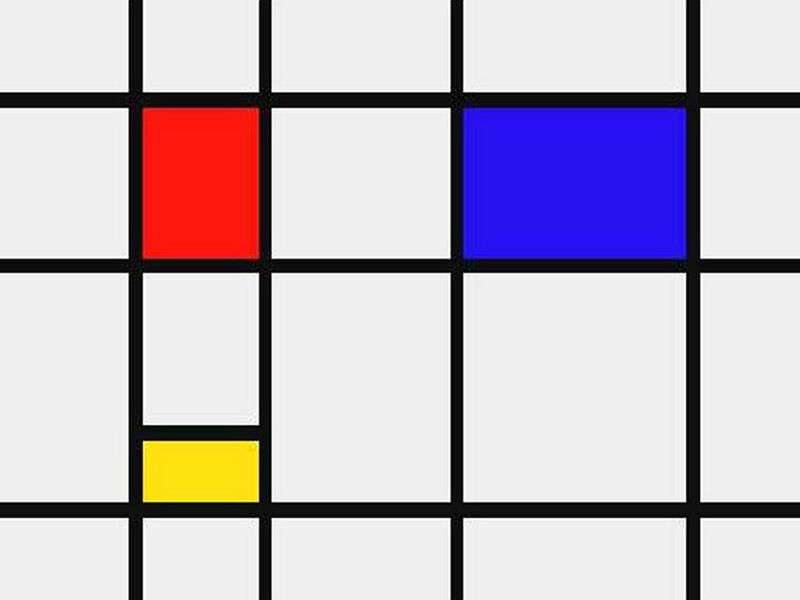 He sounds like a self described agnostic, but he funds the theosophist "Lucifer Publishing Company"
"In America, Robert P. Welsh presented the theosophical influences of Piet Mondrian and Rose-Carol Washton Long illustrated hidden images within Kandinskyâ€™s greatest works." But it was Theosophy that had the most profound effect on the emergence of modern abstract art and specifically on the founding fathers of the movement, Wassily Kandinsky, Frantisek Kupka, Piet Mondrian, and Kazimer Malevich. Theosophy gave these artists a vista that became the fundamental groundwork of their spirituality. From this viewpoint, they believed they were able to see beyond and into the natural world, as well as gaining an understanding of the ancient wisdom and cosmic principles of our existence. This lofty vantage point elevated all four beyond this-worldly concerns and gave them a sense of divine sight into otherworldly realms. They stood in the doorway between two worlds, they were the messengers, and communicating this knowledge became the objective of their art. Lucis Trust is run through an international board of trustees whose membership is said to have included: John D. Rockefeller; Norman Cousins; Robert S. McNamara; Thomas Watson, Jr. (IBM, former U.S. Ambassador to Moscow); Henry Clausen, Grand Commander of the Supreme Council, 33rd Degree, Southern District Scottish Rite and Henry Kissinger. This would then tie Bailey's influential occult organization into the international conspiracy of elitists, including the Council on Foreign Relations (CFR), the Bilderbergs, and the Trilateral Commission. Â· The European Institute (Foreign Affairs Magazine). This is the leading, putatively respectable Britain-based Satan cult (it worships Lucifer). The Lucis Trust, which runs the only religious chapel at the New York United Nations headquarters, The Temple of Understanding, was originaly founded as the Lucifer Trust, in London, in 1923. The Lucis Trust associated with the UNO is the New York affiliate of the British organization. The name was changed from Lucifer Trust, to Lucis Trust, to make the nature of the organization less conspicuous. 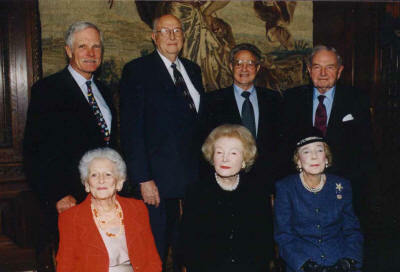 Henry Clausen, Supreme Grand Commander of the Supreme Council, 33rd Degree, Southern District Scottish Rite Freemasons, Norman Cousins, John D. Rockefeller IV, The Rockefeller Foundation, The Marshall Field family, Robert McNamara, Thomas Watson (IBM, former US Ambassador to Moscow), The United Lodge of Theosophists of New York City U., Alexis Johnson, former Undersecretary of State, Rabbi Marc Tannenbaum, American Jewish Committee. The Theosophical Order of Service (founded by Annie Besant in 1908), The Theosophical Society (founded by Helena P. Blavatsky in 1875), The United Nations Association, The World Wildlife Fund UK, The Findhorn Foundation, Greenpeace International, Greenpeace USA, Amnesty International, The Nicholas Roerich Society (chief connection to Russian mysticism, spirituality), The Anthroposophs of Rudolf Steiner, The Rudolf Steiner School [these could not be genuine followers of Steiner], UNESCO, UNICEF, The American Friends Service Committee. This is today's best-known of the hard-core, British-based Satanist cults. Like the Lucis Trust, the OTO is a direct off-shoot of the work of Britain's leading twentieth-century Satanist, Theosophy leader Aliester Crowley. OTO enthusiasts claim this organization is an offshoot of Templar freemasonry, and hint at very influential protection from among Templars very high in British freemasonry." "Satanism gained new ground under the protection of Liberalism and Romanticism during the nineteenth century. In England,the more virulent new forms surfaced around Oxford University's John Ruksin and the Pre-Raphaelite Brotherhood. Out of this came theosophy, British "guild" socialism, the Fabian Society, Bertrand Russell, H. G. Wells, and Aleister Crowley -- Satanists all. This spilled over into the United States, notably in the circles of putative "Great Awakening" evangelist Johnathan Edwards, and his protege, Princeton Hell-Fire Club activist Aaron Burr. During the late nineteenth century, the sort of spoon-bending kookery associated with such figures as Oliver Lodge and A. Conan Doyle spilled generously among the wealthy anglophile liberals of the United States." Bill Gates Buys Media Coverage to Convince us He's Doing god's (not the god you think) work! No problem, please keep posting. â€œEvidence of the growth of the human intellect along the needed receptive lines [for the preparation of the New Age] can be seen in the â€œplanningâ€� of various nations and in the efforts of the United Nations to formulate a world planâ€¦ From the very start of this unfoldment, three occult factors have governed the development of all these plansâ€�. Many of Theosophyâ€™s devote followers have gone on enacting itâ€™s dogmas through their own roles of political power as encouraged by [Madame Helen Patrovna Blavatsky]. Bill Gates' father, William H. Gates Sr., has long been involved with the eugenics group Planned Parenthood, a rebranded organization birthed out of the American Eugenics Society. In a 2003 interview with PBS' Bill Moyers, Bill Gates admitted that his father used to be the head of Planned Parenthood, which was founded on the concept that most human beings are just "reckless breeders" and "human weeds" in need of culling (http://www.pbs.org/now/transcript/transcript_gates.html). Gates also admitted during the interview that his family's involvement in reproductive issues throughout the years has been extensive, referencing his own prior adherence to the beliefs of eugenicist Thomas Robert Malthus, who believed that populations of the world need to be controlled through reproductive restrictions. Though Gates claims he now holds a different view, it appears as though his foundation's initiatives are just a modified Malthusian approach that much more discreetly reduces populations through vaccines and GMOs (http://en.wikipedia.org/wiki/Thomas_Robert_Malthus). Melinda Gates, who serves as the foundationâ€™s co-chair, made the announcement Monday at the Women Deliver 2010 conference in Washington, D.C., a gathering of global leaders, health experts, and activists who are largely pro-abortion and pro-contraception. Seventy-two members of the U.S. Congress have signed a letter to the Government Accountability Office (GAO) requesting updated detailed information about government grants to Planned Parenthood. Leading the effort to uncover information about government money being funneled to Planned Parenthood are Representative Pete Olson of Texas and Representative Diane Black of Tennessee. The request asks for more information following a GAO report compiled and released in 2010 at the request of 31 members of Congress that raised more questions than it answered. While Planned Parenthoodâ€™s annual reports show it took in $2.3 billion from government grants and programs from 2002 to 2008, the Planned Parenthood audits relied upon by the GAO in compiling the expenditure report could only account for expenditures of $657.1 million during the same time period. Following the 2010 GAO report, Diller called on Planned Parenthood to come clean and let taxpayers know how it was spending their hard-earned money. Clarification, of course, was never provided by the abortion giant. co-founder turned global philanthropist Bill Gates was in town to promote the Global Fund against HIV/Aids, Tuberculosis and Malaria campaign. I HAVE HEARD THAT EVIL MAKES ONE LOOK OLDER. I REST MY CASE. The UN is the Temple of 'UN': 'UN'-family, 'UN'-religion, 'UN'-wealth, 'UN'-sovereignty, 'UN'-truth, "UN'-life,... the non, the not, the anti- to all that's good. He might be a whiz kid at creating computer software, but beyond that Bill Gates has proven time and again that he hasnâ€™t a clue about why or how freedom works. In November, as part of the G20 summit, Gates, representing his foundation, presented a report on a plan to eradicate world poverty. Said Gates, â€œI am honored to have been given this important opportunity. My report will address the financing needed to achieve maximum progress on the Millennium Development Goals, and to make faster progress on development over the next decade.â€� Gateâ€™s report proposes a financial transaction tax (FTT) on tobacco, aviation, fuel and carbon (energy), to be enforced by all members of the G20 nations. The financial transaction tax has been excitedly talked about in the halls of the UN for a decade. Called the Tobin Tax, named after a Yale economist who dreamed it up, FTT would give the UN almost unlimited funding by taxing every stock and monetary transaction in the world. Gates didnâ€™t just dream this up on his own accord. He is actually resurrecting legislation a bill introduced in 2008 by then Senator Barack Obama. It was called the Global Poverty Act. Obama introduced the bill during his one abbreviated term in the U.S. Senate. â€¢ Principle One called for the consolidation of all international agencies under the direct authority of the UN. â€¢ Principle Two called for UN regulation of all transnational corporations and financial institutions, requiring an â€œinternational code of conductâ€� concerning the environment and labor standards. â€¢ Principle Three explored various schemes to create independent revenue sources for the UN â€“ meaning UN taxes including fees on all international monetary transactions, taxes on aircraft flights in the skies, and on shipping fuels, and licensing of what the UN called the â€œglobal commons,â€� meaning use of air, water and natural resources. The Law of the Sea Treaty fits this category. â€¢ Principle Four would restructure the UN by eliminating the veto power and permanent member status on the Security Council. Such a move would almost completely eliminate U.S. influence and power in the world body. In turn Principle Four called for the creation of an â€œAssembly of the Peopleâ€� which would be populated by hand-picked non-governmental organizations (NGOs) which are nothing more than political groups with their own agendas (the UN calls NGOs â€œcivil societyâ€�). Now, the UN says these NGOâ€™s will be the representatives of the â€œpeopleâ€� and the Assembly of the People will become the new power of the UN. â€¢ Principle Five would authorize a standing UN army. â€¢ Principle six would require UN registration of all arms and the reduction of all national armies â€œas part of a multinational global security systemâ€� under the authority of the UN. â€¢ Principle Seven would require individual and national compliance with all UN â€œHuman rightsâ€� treaties and declarations. â€¢ Principle Eight would activate the UN Criminal Court and make it compulsory for all nations â€” now achieved. â€¢ Principle Eleven demanded an international declaration stating that climate change is an essential global security interest that requires the creation of a â€œhigh level action teamâ€� to allocate carbon emissions based on equal per-capita rights â€“ The Kyoto Global Warming Treaty in action. â€¢ Principle Twelve demanded the cancellation of all debt owed by the poorest nations, global poverty reductions and for the â€œequitable sharingâ€� of global resources, as allocated by the UN â€“ here is where Obamaâ€™s Global Poverty Act comes in. At the Summit, attended by literally every head of state and world leader, including then-president Bill Clinton, the name of the Charter had been changed to the Millennium Declaration and the language had been toned down to sound more like suggestions and ideas. Then those â€œsuggestionsâ€� were put together in the â€œMillennium Declarationâ€� in the name of all of the heads of state. No vote or debate was allowed â€” just acclamation by world leaders who basically said nothing. And the deed was done. The UN had its marching orders for the new Millennium. Goal 8: Develop a Global Partnership for Development. Latest Major Action: 4/24/2008 Placed on Senate Legislative Calendar under General Orders. Calendar No. 718. The globalists are the philosophical descendants of the same crew too, and it's all just wide out in the open. I've got a feeling this ties sideways into the corrupted Masonic guilds and the Catholic Church as John Paul I had tried to route out before he was killed 33 days into his Papacy. Therefore, Masonic author, J.D. Buck, writing in his book, Mystic Masonry, stated boldly that the House of Theosophy and Freemasonry are identical. But, why should we be surprised, because Albert Pike boldly told us that the teachings of Freemasonry are "identical with the Mysteries" [Morals and Dogma ]. born Albino Luciani 17 October 1912 â€“ 28 September 1978), reigned as Pope of the Catholic Church and as Sovereign of Vatican City from 26 August 1978 until his death 33 days later. Many Western, and above all French, leading communists kept their masonic membership a secret. The French freemasons (in particular the members of the Grand Orient of France) gave the Soviet communists their whole-hearted support. The freemason Richard N. Coudenhove-Kalergi, on the other hand, wished to establish an anti- communist masonic organization. This did not happen, needless to say. The socialists made up the majority in the Western lodges. The bolshevik freemasons needed human sacrifices. According to Lenin, they sacrificed people to Molok, as revealed by the defected bolshevik leader Georges Solomon (Georges Solomon, "Among Red Rulers", Stockholm, 1930, p. 56). The name of the demon Molok is derived from the Hebrew expression la-molek ('to the king'), which is used in connection with the sacrifice. How then did the masonic communists perform their ritual sacrifices to Molok? A room at the Cheka headquarters in Kiev in 1920 contains a basin, which formerly held goldfish. It was filled with the blood of sacrificed human beings. Along the walls hooks were placed, where several human corpses were hung. On the shoulders of the officers, shoulder straps had been carved, and the chests of the Christians were carved with crosses. Some had been flayed, leaving bloody carcases on the hooks. On a table was a jar containing a chopped off head in alcohol. The head had belonged to a strikingly handsome man in his thirties (Aleksei Shiropayev, "The Prison of the People", Moscow, 2001, p. 75). Blood Red Reds. Wow. I guess it makes sense. Who else would kill 60 million people?